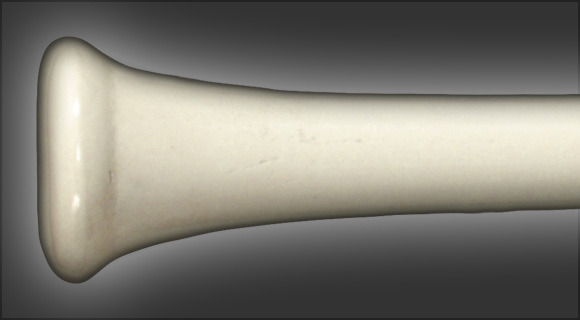 The Youth Softball Model 73 is a long handled bat which quickly tapers to a full long barrel. We took the most popular handled and best balanced baseball bat model and are the first to bring it to a softball bat. It has a tapered medium sized 15/16″ handle flaring to a very large knob, and the barrel is 2 1/4″. The large knob gives the bat exceptional balance and makes it feel lighter and easier to swing, especially for players accustomed to ultra light metal/composite bats.